Alex Greenwich calls on the government to abandon the dangerous NSW Shooters and Fishers Party Bill after the damaging impact of the “Melbourne Mistake”. The NSW government must now abandon their support for the NSW Shooters and Fishers Party Bill of Parliament that would give each business two votes in Sydney local government elections. In addition to the widespread outrage that the NSW Shooters and Fishers Party Bill goes against the principals of one vote, one value, there have now been damning findings of the impact this model had in Melbourne – the only other place with such a model. What has been touted as the “successful” Melbourne Model is now nothing more than the “Melbourne Mistake“. 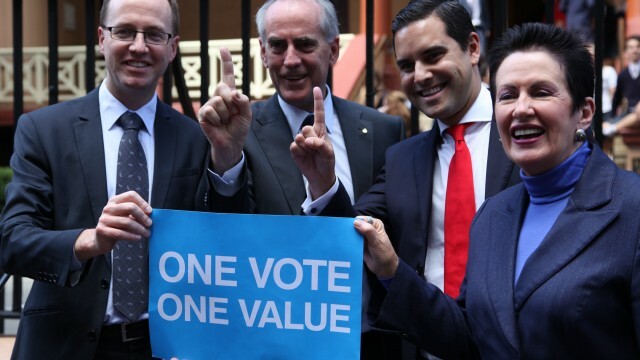 The government has been pushing for major changes to Sydney’s local government elections, including two votes for businesses; council-managed elections and electoral rolls, and permanent non-residential electoral rolls, all because Melbourne does it. Now, the Victorian Local Government Electoral Review has recommended a new model that respects one vote, one value, independent elections managed by the Victorian Electoral Commission and a non-residential electoral roll that voters apply to be included on to ensure transparent and fair elections. The Melbourne review recommendations mimic the provisions of my Bill, which has the support of NSW Local Government and the City of Sydney, and I call on the government to abandon the dangerous NSW Shooters and Fishers Party Bill and support mine. Given the findings of the review it would be dangerous to pursue a model that experts declare undermines democracy and has serious flaws. I hope the government heeds this warning. To impose the Melbourne Model on Sydney would also have a damaging impact on the current voting rights of many small businesses. Sydney and Melbourne have different rating systems. Section 16B of the NSW Shooters and Fishers Party Bill limits the right to be enrolled to vote for any one parcel of land to two owners, two rate paying lessees or two occupiers. Therefore, any parcel of land that is rated, such as a food court or shopping mall out of which more than one business operates, would see the owner of that parcel of land get two votes and see many lease holding businesses lose their existing voting rights. This poorly thought-through bill doubles the vote of corporate land owners and big business, removes the vote of small businesses and relegates residents to second-class citizens. My alternative bill maintains the current eligibility, allowing business to enrol to vote if they pay more than $5,000 a year in rent and provides a simple way to immediately ensure all non-residential voters can exercise their existing right to vote.